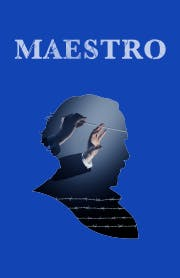 MAESTRO brings to life the story of conductor Arturo Toscanini who bravely opposed Fascism in Italy and America. A moving theatrical experience drawing from his passionate personal letters along with music of his contemporaries, audiences enter into the mind of an artist. Presented by the critically acclaimed Ensemble for the Romantic Century, the production combines theatre, music, and multimedia, offering a unique experience for patrons.